Not being sure where he will land Bryce packs his bags to leave Riverview forever. Will he make it big in the city? Settle in a quaint cottage? Or blend in with the locals? The actual challenge will start with Bryce's heir. Since he is a brand new creation I thought I would start with his story to provide a bit of background. 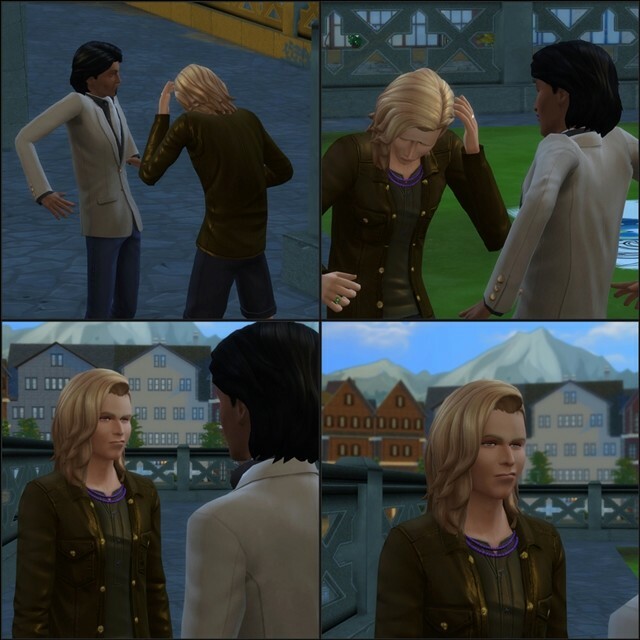 The path for the heir (in my story) will depend on what happens with Bryce. Bryce found a nice little house in a secluded corner of Windenberg. It was just big enough for what he needed and far enough away from the city to give him the privacy he wanted to work on his writing. 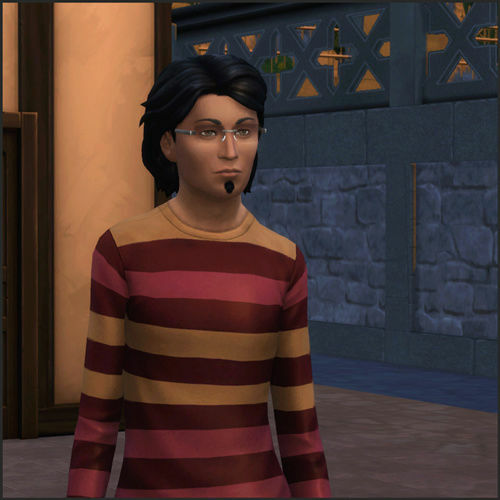 He loved going to the different festivals in San Myshuno to sample the great variety of foods there. On one of his visits he ran into a small group at a local cafe. They were taking great care to savor each morsel of food then busily jotting down some notes and taking pictures. Curious he approached the group to find out more. He found out their job was to taste food and drinks and write reviews. Bryce was delighted to find he could actually get paid to eat! He put in an application and after a short trial run he was hired. All was going well. Being able to write interesting articles was crucial to his success. That meant he could still write his stories and novels for a bit of extra cash on the side. His books became more and more popular and soon he was a Best Selling Author. Now he had the best of both worlds. He could travel, eat delicious foods and drink at the best spots plus he could work on his dream novel. 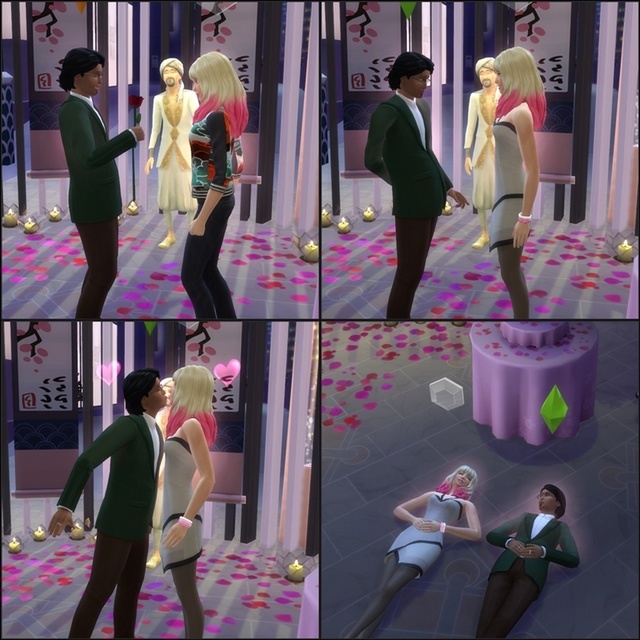 He was enjoying some tasty food at the Romance Festival when a local DJ caught his eye. She was DJ Candy and had hair the color of cotton candy. He was in Love! When she took a break between sets he introduced himself. She agreed to meet with him after the festival ended. They went for drinks and were having a great time laughing and openly flirting. Bryce decided to use a bold pick-up line followed by a passionate kiss. Sparks flew and the sky was filled with fireworks. In the heat of the moment he proposed. Sounds like the dream life. He is moving right along! Things are about to get a bit more "interesting" for Bryce. Bryce was devastated that Candy turned him down. He threw himself into his work and was making great progress. He dated Candy a few more times and they remained great friends. Their careers kept them apart for long periods of time. It had been a few months since they had seen each other so he was happy to get a call to come over for a visit. He was a bit curious when she had something important to tell him but not over the phone. She said no? Oh dear. I hope she is now more open to the idea having invited him over. Or is it something else? Oh wow! what a turn of events. So his he now going to raise his babies alone? Curious to see what happens next! 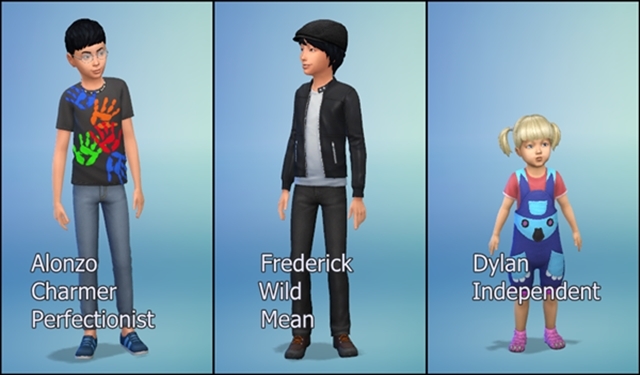 The boys just became children and their sister Dylan is still a toddler. Time for Dad to step up to the plate and claim his children. When Candy turned down his proposal it gave me the idea to let the children stay with her until this point. 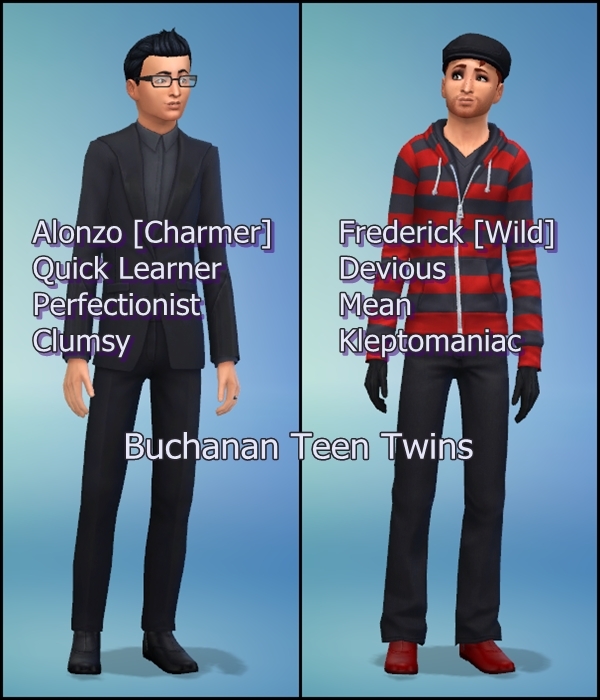 That way their traits would be random and there would not be a second adult to deal with at this point. Bryce did visit often and helped with potty training. As a matter if fact Candy did not appear to be interacting with the toddlers at all. Bryce Buchanan set out to be the best Food Critic around. Now he needs to change his focus to being the best single Dad ever. Good luck with the little ones Bryce. 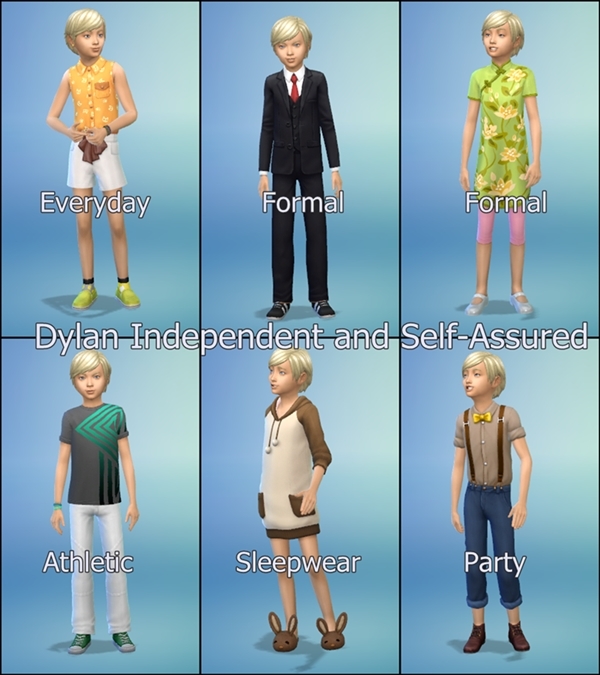 The twins are about seven days from being Teens and Dylan has become a child and started school. Bryce and the kids were returning home from an outing and (real life interfered..) I had to answer my door while they were traveling. 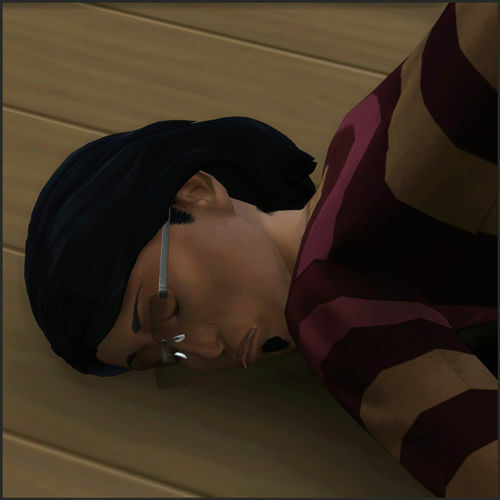 I heard the family talking (Sims) and then heard the scuffle of a fight (in game). 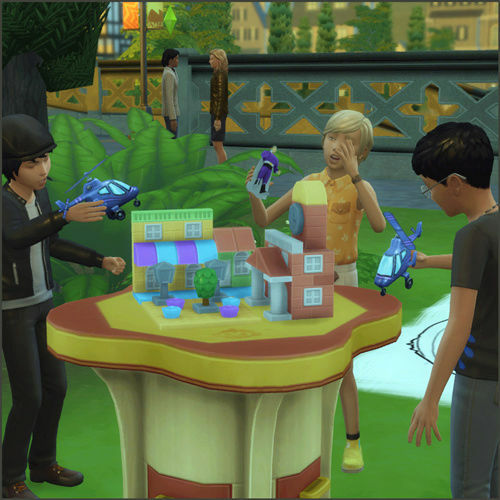 The kids were living with Candy and Bryce made frequent visits. The children seemed happy enough but Candy was more prone to having a Nanny take care of them. The boys were always happy to see Bryce and Dylan quickly became 'Daddy's Girl' in spite of her independent streak. There were frequent discussions on what the kids needed. Bryce was not happy to hear that Candy planned to ship the kids off to a private boarding school. That meant he would not be able to see them except on school holidays. When he got a call from Candy to meet her at Rilitti Restaurante he hoped it was because she had changed her mind. Always on the job he was really only half listening to Candy while busily posting pictures to a Foodie Blog. The words ".... and that is why you should have full custody" caught his attention. Candy was planning on touring for the next year and it would not be good for the children. She already had her manager draw up the custody papers and had brought them for Bryce to sign. By the time desert arrived Bryce was officially a full-time Dad. Note: This will be a tough decision on how to proceed to choose an heir. 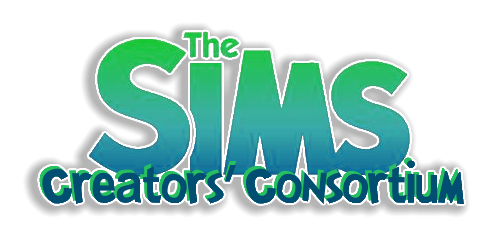 As the story so far is the set-up to create #HeirsSpares for future gameplay I will keep this first generation in the same save. Debating of when to save them to the gallery again. 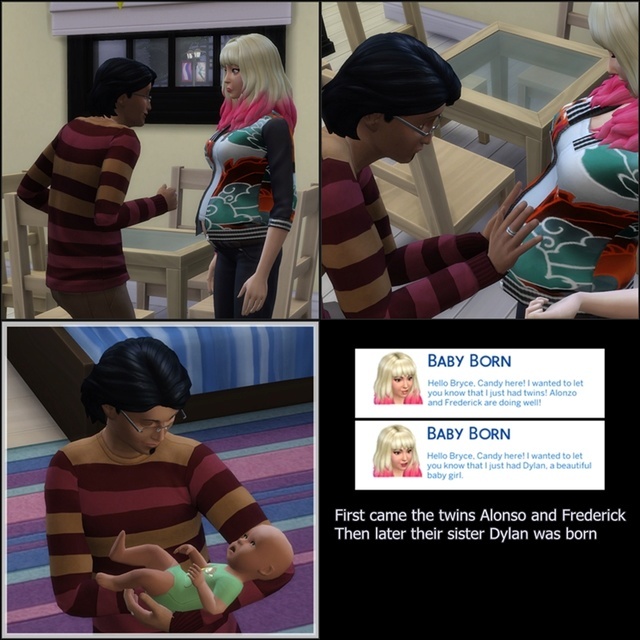 Thinking I will keep the twins together at least as they are so opposite it would be interesting to play with that dynamic. Congratulations Bryce on full custody. Taking a side trip into another save.